The Tornado is the first mainline steam engine to be built in the UK since the 1960s. Northern Rail said tickets were "all but sold out" with no guarantee passengers could board the train without a reservation. Paul Barnfield, of Northern Rail, said: "We always knew the first timetabled steam services in the UK for 50 years would be extremely popular, but the demand for tickets has been phenomenal." This is more than just a novelty. For over a year the Settle to Carlisle route has been severed in Cumbria by a huge landslide, with Northern wanting to give the route a high-profile boost before the reopening. Laying on the first timetabled, turn-up-and-go steam services in nearly half a century is just the ticket. 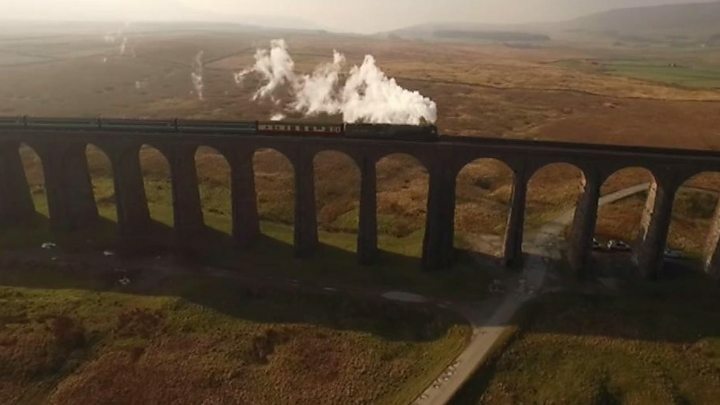 It was on the Settle-Carlisle line that the last steam passenger train ran in August 1968 and rail enthusiasts will see this opportunity as a bargain. An adult standard day return between Appleby and Skipton costs about £17 and for that you get a ride behind Tornado in "proper" carriages. Expect the services to be hugely popular. The Appleby to Carlisle stretch of line closed in February 2016 after a 500,000-tonne landslip. It is due to officially reopen on 31 March.